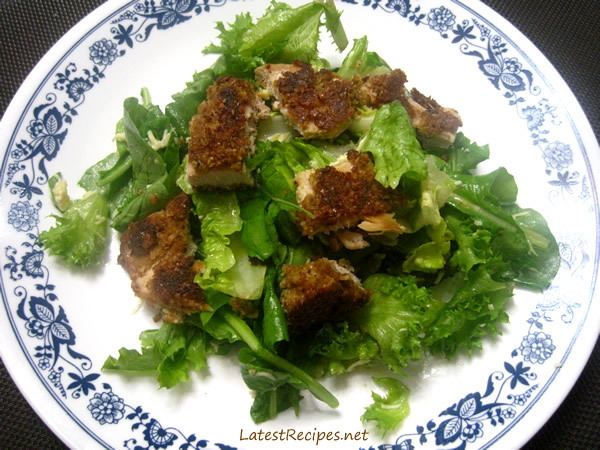 My favorite thing to do with chicken breast fillet is breaded chicken since it doesn’t really have much flavor, it is for me the best way to cook it. It’s crunchy outside and tender inside, the sauce and whatever dressing you choose to pair it with will make it even more enjoyable to eat. The chicken tasted good, as I expected and the honey mustard dressing for the salad greens is delicious, too! 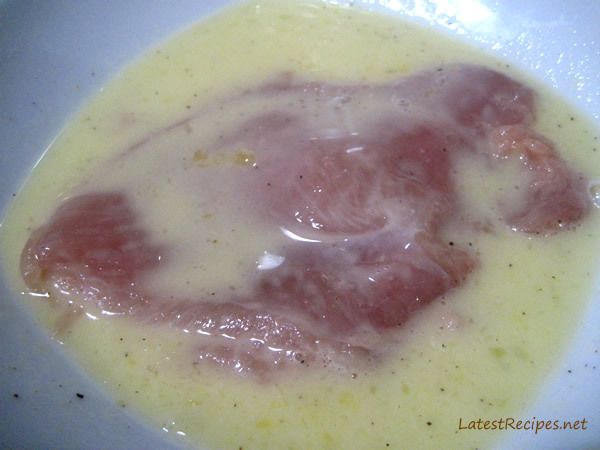 then dredge in the crusting mixture..
saute or pan-fry until browned on both sides.. Prepare chicken breasts, cutting and pounding. Blend egg whites, cornstarch, and lemon juice with a fork in a wide shallow dish; set aside. 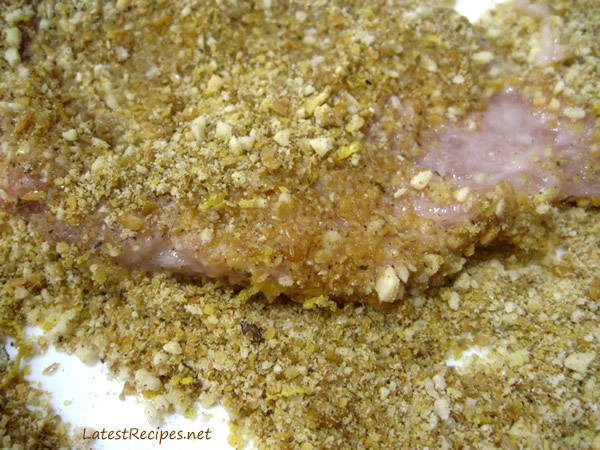 Combine bread crumbs, parsley, salt, pepper, and zest in a second wide shallow dish. Crust chicken breasts. Let rest at room temperature on a rack for 20-30 minutes to set crust. Saute chicken in oil in a large, nonstick, oven proof skillet over medium heat for about 3 minutes, or until golden brown and crisp. Carefully turn with a spatula, and transfer the skillet to the oven to finish cooking. Roast chicken just until done, about 8 more minutes. ♥ Have a nice day! God Bless! 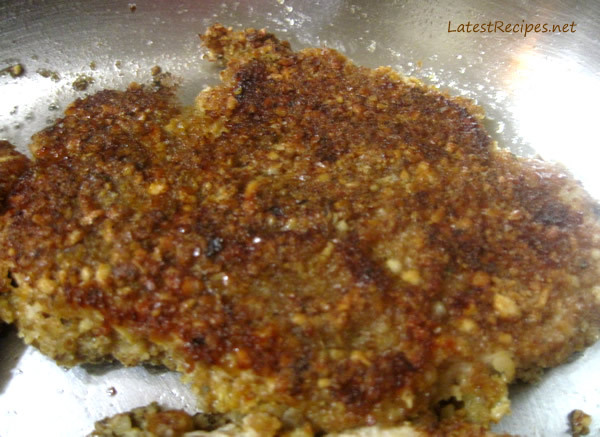 One Response to "Pecan-crusted Chicken"
What a great and flavorful meal!